These biscuits look incredibly pretty and are great as gifts or to hang as decorations on your Christmas tree. You’ll need a 12cm (4½in) star- or snowflake-shaped cookie cutter, a 4cm (1½in) star cutter and about 120cm (4 feet) of thin ribbon for the decoration. 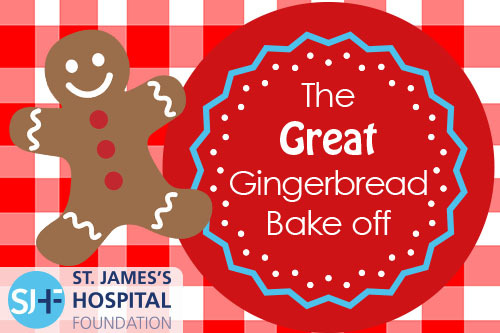 If you’d prefer to make gingerbread men, but as they are slightly bigger shapes, they will take 10–12 minutes to bake. 1 Preheat the oven to 200°C (400°F/gas mark 6). Line 2 large baking sheets with non-stick baking paper. 2 Separate the sweets into their colours and put them in plastic bags (one colour in each). Crush until they are fine grains. 3 Cream the butter and brown sugar until light and fluffy. Add the golden syrup, egg yolk and bicarbonate of soda and mix again to combine. Sift the flour and spices into a bowl, then tip into the butter mixture and mix again until well combined. Shape the dough into a ball and knead lightly until smooth. Wrap in cling film and chill for 30 minutes. 4 Roll the dough out to a 1cm (½in) thickness in between 2 large sheets of non-stick baking paper. Work with the dough while it’s still a little warm, as it becomes dry and crumbly once it has cooled completely. Stamp out the biscuits using a 12cm (4½in) star- or snowflake-shaped cutter and then use a 4cm (1½in) star cutter to stamp out the centre of each biscuit. Using a palette knife, transfer the shapes to the lined baking sheets. Re-roll the remaining dough and continue to make the biscuit shapes. 5 To make ornaments, use a drinking straw or wooden skewer to make a hole in the top of each biscuit. Place a little of the ground hard candy in the centre of each star. 6 Bake for 8–10 minutes, until the biscuits are beginning to darken and the candy has melted to fill the holes. Remove from the oven and use the straw or skewer again to make sure the holes are intact. Leave to cool completely, then slide a palette knife under each biscuit to release them from the paper. 7 Mix the royal icing sugar with a little water until you have a thick paste and pipe or drizzle onto the biscuits to decorate. Leave to harden, then thread the biscuits onto pieces of ribbon. Many thanks to Neven for supplying us with this recipe from his new cook book which is on sale in bookshops now..